This is Lee’s first official poster for the sport of Tennis and we are starting at the top! The Miami Open is celebrating it’s 32nd year on the island of Key Biscayne, and 2018 will mark the final year this event is held at Crandon Park, one of the Tour Players favorite venues. Roger Federer’s victory here in 2017 is credited with sparking his recent resurgence and he arrives to defend his title in excellent form. 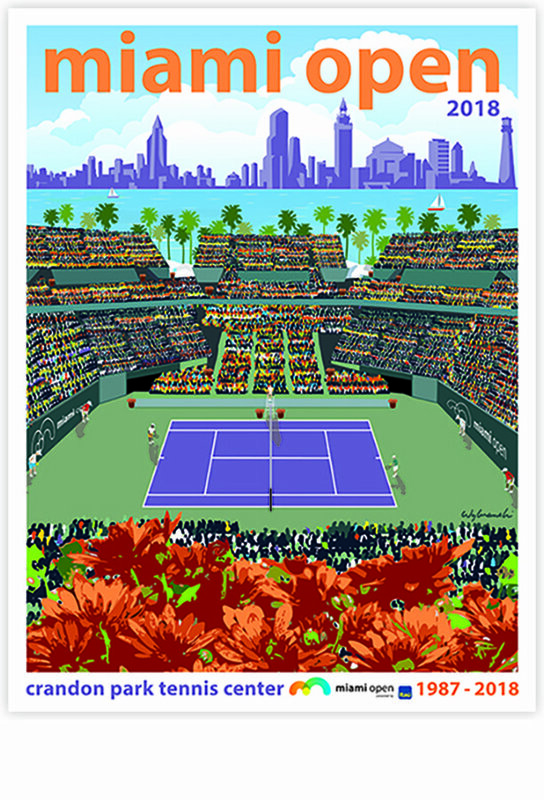 With the best in sports, fashion, food and entertainment, the Miami Open highlights everything “cool” about the event and its host city, and Lee’s artwork captures it all.